An issue many students face is the expensive cost of going to college. Luckily, there are many different types of ways to save the most money on higher education. It is important to learn that even families with low incomes can receive the financial help and benefits for attending college. 1. Apply for financial aid. If you are in a family with low to medium income you may qualify for financial aid. There are many necessary steps to take to apply. First, you must know your EFC which stands for Expected Family Contribution. This is the amount of money that shows if you need assistance for the cost of college. Your EFC can be calculated using the calculators available at http://www.collegeboard.com or http://www.finaid.com. Fill out the FAFSA financial aid application. Talk to a financial aid counselor about any other factors or questions about financial aid. Make sure you meet all deadlines. 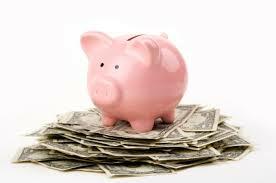 Do not worry if you do not receive financial aid, there are still many other ways to save money on college. 2. Apply for scholarships. Scholarships are major opportunities for saving money. Students can receive merit based scholarships by meeting or exceeding the necessary requirements by the group or individuals that are giving the scholarship. Scholarship requirements can range from having a talent, trait, or interest to having financial need. There are thousands of them available from organizations, companies, nonprofits, communities, and numerous other groups and individuals. Scholarships can be found in multiple places, including your school counselor, online search tools, federal agencies, and many others. You must apply for the scholarship before the scholarship giver’s deadline. If you earn them you do not need to pay them back. It is basically free money given out for going to college. 3. Once you’re in college you can save money by buying used textbooks. Textbooks can be an expensive cost because they are needed for a variety of classes. You can save money if the textbooks you purchase are used. You can purchase used textbooks from used books stores or online websites such as ebay.com. After you have finished taking your class you will no longer need your textbook so you can always sell it back on ebay.com. 4. Save money on transportation. If you need to get somewhere you can use your local bus or subway system instead of using your car to save money from spending on gas. If there are no available transportation systems you can always carpool with your friends. You can also walk or bike to where you need to go for exercise. 5. Calculate your expenses and living costs. Create a list of all the purchases you make and go over whether these purchases are necessary for the amount of money you are paying for them. Find ways to save money by using coupons and discounts or finding cheaper alternatives. These steps are only a few of the many ways to save money on college. It is important to be educated on as many ways as possible to save money on college because it is becoming more expensive every year to attend.